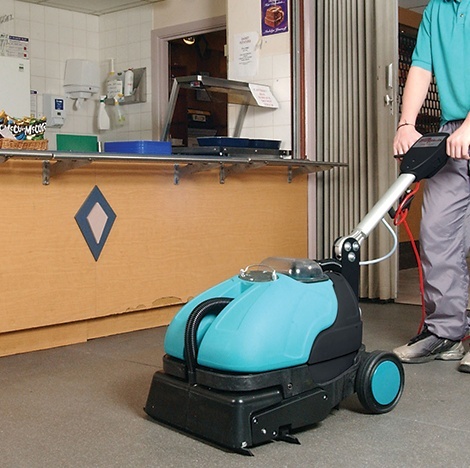 A compact multi-directional scrubber dryer designed to clean any hard floor type, even non-slip, safety or textured floors. 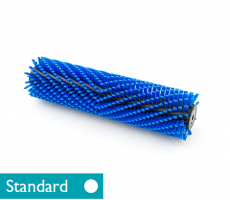 Cleaning and drying all hard floors, the Solaris is fitted with a spring loaded scrub deck for better performance on uneven and tiled floors. 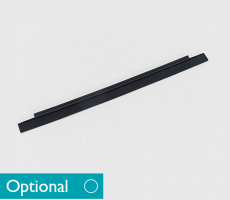 It also includes a squeegee to provide excellent pick-up, with the squeegee height automatically set by a spring loaded head. Adding to this versatility is the multi-directional feature. 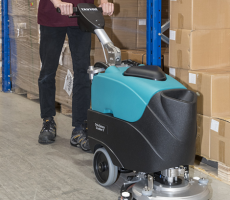 With the machine able to clean and dry floors in both forward and backward directions, it offers maximum productivity and versatility to suit your cleaning area. 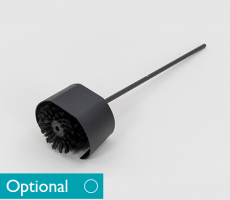 The Solaris’ cylindrical brush makes light work of non-slip, safety and textured floors, making this scrubber dryer ideal for local authorities, high tech manufacturing, hospitals, retail and education facilities. 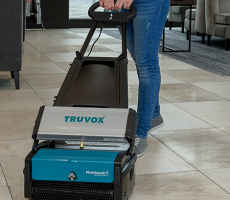 Being quiet in operation, the Solaris can be used for daytime cleaning and the low height and long reach makes it easy to clean under desks and furniture. 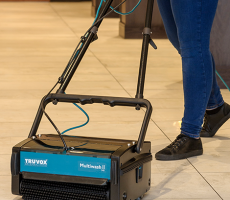 Its compact design allows it to clean smaller areas such as behind deli counters but doesn’t compromise on its productivity with a 15 litre capacity, allowing it to effectively clean a range of different sized cleaning areas. IS THERE ANY MORE INFORMATION ABOUT THE SOLARIS?